Maggie’s Organics has been making high-quality durable and affordable socks and apparel since 1992. We began quite by accident, when we learned the truth behind conventional cotton working with an organic corn farmer in Texas. Before founding Maggie’s, I was working with the farmer to improve the quality of his blue corn crop for the tortilla chips she was marketing at the time. The farmer suggested that adding cotton into his three year organic crop rotation would improve his corn yields. His experiment worked, and resulted in 200 acres of certified organic cotton, which he expected me to sell! 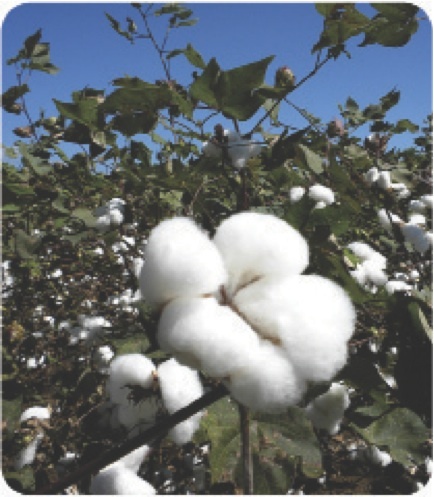 In researching cotton, I learned that this one crop is grown on 3-5% of the world’s cultivated land, yet uses nearly 10% of the world’s pesticides and 25% of the world’s insecticides! We committed ourselves to utilizing these 200 acres of organic cotton to tell the real story behind conventional cotton clothing, and Maggie’s Organics was born. Knowing nothing about the complex world of apparel production, it did not take long for us to feel overwhelmed. Even a basic t-shirt takes 6-8 weeks to produce and involves 4-6 separate contractors. Many mistakes were made: Natural dyes that faded in the sun – we called them mood shirts (if you didn’t like the color, go outside for a few hours); Women’s scoop tops that we marketed as wearing well day-into-evening because they started the day on your shoulders and were off-shoulder by the evening. But we persevered, studied hard, and were blessed with a customer base that believed in what we were doing. As we expanded our product offering, we learned first-hand about the working conditions in textile plants while dealing with two ongoing problems: late orders and poor quality. We began to spend more time in the factories, trying to figure out why these problems recurred. This is where we learned the truth about who makes the clothes we all wear: poor and often under-educated workers, mostly women, paid by the piece. In order to make enough money to feed their families, they stay at the same repetitive jobs for years, wreaking havoc on their bodies and minds. Worst of all, these workers are completely disenfranchised from the consumers who wear their clothes as well as the companies whose labels they sew. We could no longer consider Maggie’s an environmentally responsible company while engaging in such an irresponsible supply chain. We had to find a better way. This is when we met Jubilee House Community (JHC), a community development organization in Nicaragua that for ten years had worked to find employment for victims of natural disasters. JHC had access to many workers, both skilled and unskilled. We offered JHC a challenge: if they could create a facility where every worker had a vested interest in our success and had a way to determine their own success, we would turn all of our sewing contracts over to them. JHC suggested a worker-ownership model, and together we helped to create the first of several 100% worker-owned apparel cooperatives in Nicaragua called the Fair Trade Zone. This experience inspired us to continue pursuing other cooperative projects and to develop relationships with contractors that honor workers’ rights. Our most recent co-op, Opportunity Threads in North Carolina, makes a stuffed animal line out of our excess socks. It was invaluable to each project that all of these workers had familiarity with the structure of cooperatives before we began. Co-ops are part of the landscape in Nicaragua, especially with folks who lived through the Sandinista revolution. All of our projects required amazing amounts of fortitude, patience, and trial by all of us. We have plenty left to do to prove that this type of production facility can succeed long-term, but we are convinced that it is a replicable business model for small to medium-sized manufacturing concerns in many industries. And from our experience, the involvement of all three legs of the stool are imperative – workers, a community organization, and a brand. Our socks are made by five family-owned mills in North Carolina. We are proud that every pair of socks we have made in 18 years has been made in the USA. Our tights and legwear are produced in GOTS (Global Organic Textile Exchange) certified facilities in Peru, from cotton grown by cooperative farmers in the Canete Valley. Our new apparel line of Hoodies, Dresses, Wraps, Scarves, Pants, Tanks, Camisoles, and Men’s Shirts is from our Central American Supply chain. Each supply chain we use is committed to providing a quality Maggie’s product that is produced with fair working conditions and practices and, as always, all of our cotton and wool is 100% certified organic. We are intricately involved with each step of production of our organic cotton apparel, from the farming to the finished garment. Our goal is to connect the workers who make our products with the consumers who wear them. Recently, we have begun to work with independent monitoring organizations that offer third party verification programs that certify the working conditions and labor conditions in our supply chain. Our Central American supply chain is the first to be certified by both Scientific Certifications Standards Fair Labor Practices and through Fair Trade USA by their new apparel pilot program. This supply chain begins in Nicaragua, where we have helped to revive a devastated cotton farming industry by converting farmers to organic farming. The grower co-ops we work with in Nicaragua provide livelihoods for over 1200 people. All of the groups harvest their cotton by hand and use a specific variety of cotton seed that was developed by Nicaraguans to work best in their climate. Yields have increased each year, and farmers earn over twice what they would for conventional cotton per acre. With the help of JHC, who coordinates all the growers, we have been able to develop worker-owned cooperatives for the ginning of the fiber and the spinning of the yarn. The yarn then heads to Costa Rica where CIA Textiles dyes and finishes the yarn into different fabrics. This is also where the fabric is cut and sewn into our finished garments. CIA Textiles was founded over 60 years ago by a Jewish immigrant from Poland who was sent by his family to escape the Nazi invasion. His vision and compassion set the groundwork for workers’ rights with a democratic workers’ association, paying above average wages, and instituting many special benefit programs.